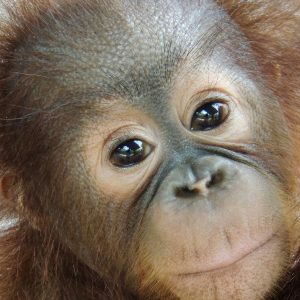 In 1996 OFI instituted Orangutan Awareness Week (OAW) to honour the establishment of Camp Leakey during the first week of November in 1971. 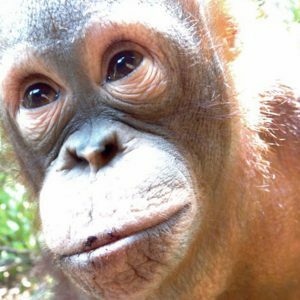 In fact Dr. Galdikas first arrived at Camp Leakey on November 5th! 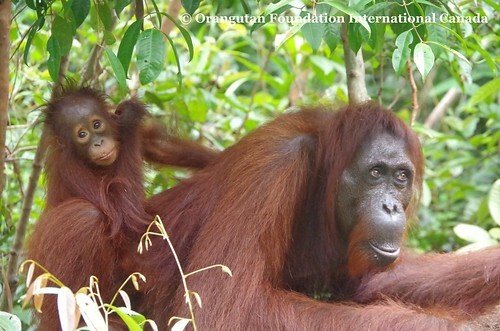 OFI Canada will be celebrating Orangutan Awareness Week this year by spreading awareness of orangutans, rainforests, the history and work of OFIC to preserve them, and by thanking those of you out there that already support us! 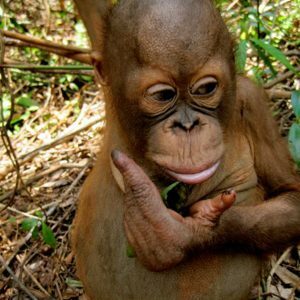 Orangutans are Asia’s only great ape and are unique from the African great apes (chimpanzees, bonobos, and gorillas) in many ways. 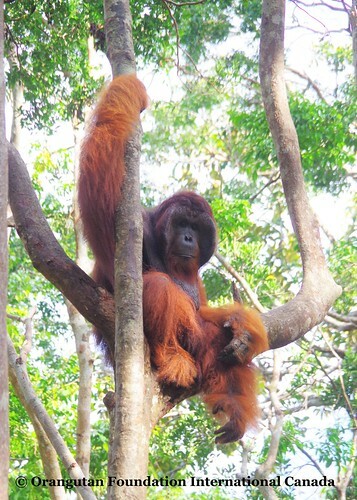 They are much more arboreal (meaning they spend most of their time in the trees) and they eat almost exclusively ripe fruit, however Dr. Biruté Galdikas helped to document the fact that orangutans consume hundreds of different sources of food, from bark to leaves and termites, in the tropical rainforests they call home. 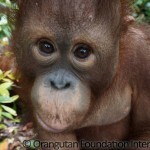 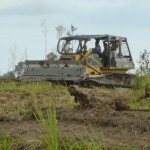 That forest home is so important to the life of the orangutan that it dictates just about all parts of their lives. 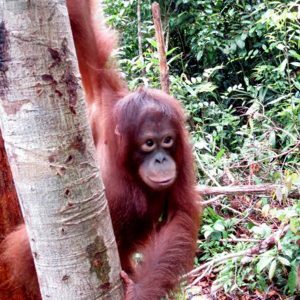 Because these tropical dipterocarp forests are so diverse orangutans live semi-solitary lives, spending most their time on their own in the pursuit of finding food. 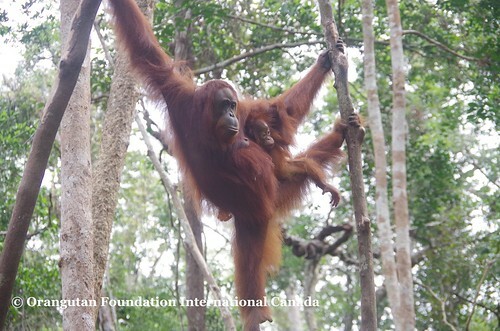 Single males can range over large areas, and females are often accompanied by just one or sometimes two offspring, as mothers care for their young until they are almost 8 years of age. 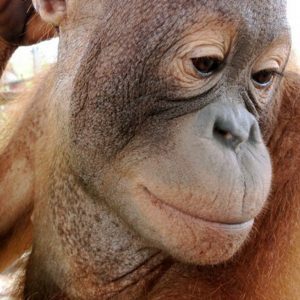 These large bodied primates have incredible memories, special awareness, and complex social relationships that we are only just beginning to understand and appreciate. 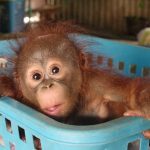 So now that you know more about orangutans you can see why it is imperative that we all work towards their continued survival! 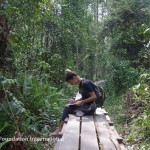 Tune in for later posts to learn more about our President, inspiration, and hero, Dr. Biruté Mary Galdikas. 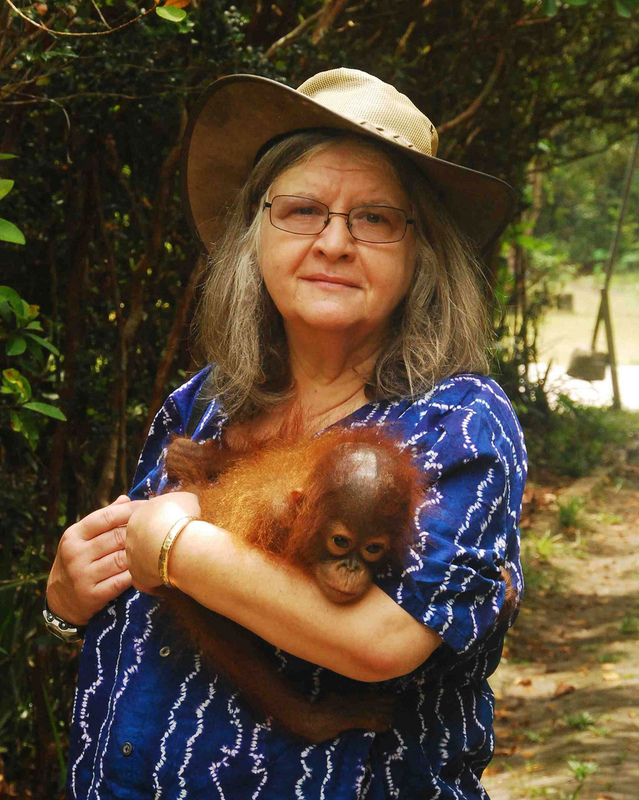 We will tell you about how she ventured to the jungles of Borneo in 1971 and how she has been there fighting for the survival of orangutans ever since.